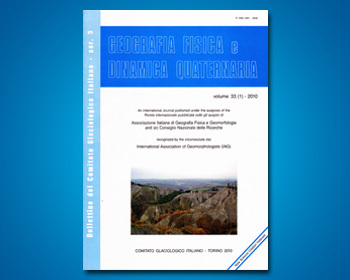 This paper peresent a specific geomorphological landscape, created by the process of derasion, which is characterized by specific features. Be-longig to the group of discrete landscapes, but different in content and extension, it is modelled by the combined effect of gelifluction, cryotur-bation, cryofraction, pluvionivation and the gravitational movement of materials on the slopes in periglacial condition. The processes of derasion create two categories of products: deluvial and taluvial deposits and residual relief. The main characteristic of the derasional landscape is the continuous multiplication of relief forms until the complete destruction of the initial landscape is reached, and there is emergence of a secondary landscape. The most illustrative morphological element of the derasion landscape is represented by the derasion valley.